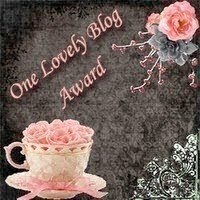 One Lovely Blog Award | Memorable Days : Beauty Blog - Korean Beauty, European, American Product Reviews. This is a simple tag, all you have to do is pass this award to 15 other lovely bloggers ^_^! Super easy isn't it?! And of course I'm going to tag Lene and Jennifer back ;) cuz I love their blog as well~! 15 lovely bloggers ^_^! Gomenasai that I don't comment all the time, but I do read all your posts :) Btw. I'm going to the Far East Movement concert tomorrow, so I hope that I can take a lot of photos and post it here for you guys ^-^! And Far East Movement?! ahhh AM JEALOUS!